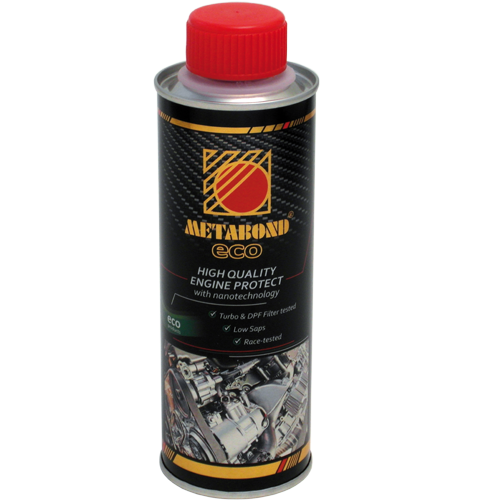 Metabond instructions: Their use does not require expertise, simply mix the lubricating oil with the additives, preferably occasion of oil change. Simply warm up the content of the flask on a warm radiator or in warm water to a pourable state, then shake it well and pour the volume of 1 flask (250 ml) into 1 engine (4-8 litre oil fill), to the fresh still hot engine oil, then run the engine for a few minutes.Repeat the treatment after each oil change.In case of continuous post-treatment, ½ flask may be sufficient if the purpose is only to finish the metal surface. If you want to permanently enjoy also the full advantages of lubrication improvement then the use of a full flask (250 ml) is recommended for the post-treatment.It is assumed that an oil of the required quality is applied. Add it to the new, warm lubricating oil at a rate of 5-10% (0.5-1 dl Old Spezial per 1 litre of oil). Simply pour Old Spezial into the hot engine. Heat the can to 25-30°C (stand it into hot water or place onto a warm radiator), and shake well before use. Operate the engine for a few minutes after topping up or simply drive on.It is not intended for single use; add Metabond Old Spezial during each oil change in the same ratio. It is assumed that an oil of the required quality is applied. Its use does not require skills or tools, simply warm up the content of the flask on a warm radiator or in warm water to a pourable state, then shake it well and pour the volume of 1 flask (1 litre) into 1 engine (25-35 litre oil fill), to the fresh still hot engine oil, then run the engine for a few minutes.Repeat the treatment after each oil change.In case of continuous post-treatment, ½ flask may be sufficient if the purpose is only to finish the metal surface.If you want to permanently enjoy also the full advantages of lubrication improvement then the use of a full flask (1 litre) is necessary for the post-treatment.It is assumed that an oil of the required quality is applied. No skills or tools are required. Just add Metabond 4T to new engine oil at a rate of 5%. 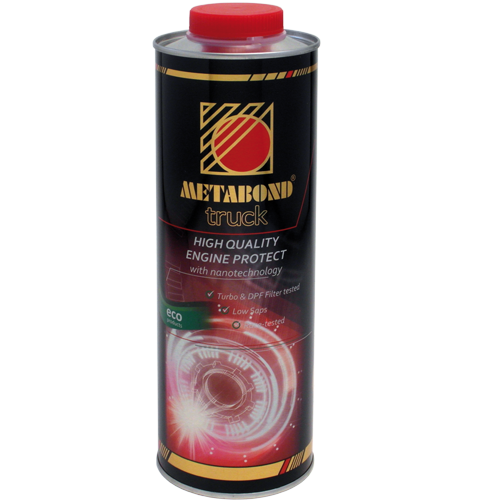 It is not intended for single use; add Metabond 4T during each oil change at a rate of 5%. If you have any question about Metabond instructions please contact us.